he ety­mo­logy of type is no less im­port­ant, but much less stud­ied than the ety­mo­logy of lan­guage. Due to the pop­ular­ity of Sum­ner Stone’s typefaces, re­leased at the dawn of the di­git­al age, his name has al­most be­come a com­mon noun, but the world-renowned de­sign­er and founder of the Adobe Type De­part­ment is about much more than his early suc­cesses. Be­fore us is a subtle de­sign­er, ser­i­ous re­search­er of type his­tory, cal­li­graph­er, teach­er and a fas­cin­at­ing con­ver­sa­tion part­ner. Es­pe­cially for Type Journ­al, Sum­ner Stone talked to Misha Be­let­sky about type tech­niques, life, work, teach­ing and his plans. I would like to talk a little bit about how you got in­to this busi­ness of cal­li­graphy and type design. I heard you stud­ied with Lloyd Reyn­olds. Lloyd Reyn­olds was cer­tainly the per­son who cap­tured me, when I first ar­rived on the cam­pus at Reed Col­lege, which is a small lib­er­al arts col­lege in Port­land, Ore­gon. One of the things that you couldn’t miss was the fact that when you went in to the cafet­er­ia, it was covered with posters, which were ob­vi­ously hand-made and hand-lettered. I had no ex­per­i­en­ce of cal­li­graphy be­fore that. Zero. I didn’t even know what cal­li­graphy was. This is in 1963. I soon learned that this was all the work of his stu­dents that were stu­dents. When you got to be one of the top two or three people, then you would make these ban­ners. Most of them were on butcher pa­per, an­noun­cing events on cam­pus and whatever was go­ing on. I very quickly was in­tro­duced to the fact that this was an im­port­ant part of stu­dent life and I had a couple of friends who got very in­to it as un­der­gradu­ates. When I gradu­ated, I took a sum­mer class from Reyn­olds. It turned out to be the last class he taught at Reed Col­lege. He went on teach­ing at the Mu­seum Art School in Port­land and some oth­er places, gave work­shops and so on. This class was where he turned over the bat­on, so to speak, or the pen, to Robert Pal­ladino, who has been in the news in the last year be­cause of Steve Jobs. He was the one that Jobs stud­ied with at Reed Col­lege. That was after my time, some years later. It’s in­ter­est­ing that you both picked it up from there. In­deed. I didn’t work closely with Steve Jobs, but I was in­volved in the pro­cess of choos­ing the typefaces that were go­ing to be in the second batch of things that were on Laser­Writer. The first was Times Ro­man, Hel­vet­ica, Sym­bol, Cour­i­er and so on. Then we had to choose the next ones. That turned out to be a kind of wrangle. People had all sorts of dif­fer­ent opin­ions. We had the guys from ITC in there, we had Lino­type, every­body had what they wanted to be in there. It was a big scramble, so I was in­volved in that. I sat in his of­fice and par­ti­cip­ated in the de­bate about that. I do think that through that in­flu­en­ce with both him and my­self, that Reyn­olds had a def­in­ite im­pact on what we’re now see­ing every­day on com­puters. An­oth­er stu­dent of Reyn­olds is Chuck Bi­gelow: he and Kris Holmes, who was a stu­dent of Pal­ladino’s, de­signed the typeface that is the res­id­ent typeface on the Mac. You see that every­day. So he’s there, Reyn­olds is there. There’s this re­newed in­terest in ty­po­graphy and let­ter­form, be­cause of the per­son­al com­puter, be­cause of the fact that people have their hands on the let­ters now and have to make choices about them. The in­terest in type design has really mush­roomed in the last, I would say, even five years. As part of this ex­plo­sion of people mak­ing typefaces, be­cause it’s so ac­cess­ible now, I had no idea that would hap­pen on the scale it has happened. I thought it would hap­pen, but I did not pre­dict the in­cred­ible volume of let­ter­forms that are be­ing made. Artist and cal­li­graph­er Lloyd Reyn­olds (1902–1978) in 1961. For Reed Col­lege in Port­land, Ore­gon, known for its aca­demi­cism and em­phas­is on the­or­et­ic­al stud­ies, Reyn­olds was a land­mark fig­ure. He in­flu­en­ced sev­er­al gen­er­a­tions of stu­dents, though most of them did not in­tend to ded­ic­ate their lives to type art and cal­li­graphy. Sum­ner Stone was an ex­cep­tion – his les­sons with Reyn­olds were a turn­ing point for his ca­reer choice. Ac­cord­ing to Stone, Reyn­olds ev­al­u­ated stu­dents’ work not only on the ac­cur­acy of their forms and de­tails, but mainly from the per­spect­ive of an artist who is ob­liged to breathe life in­to the form. Life move­ment was Reyn­olds’ fa­vour­ite ex­pres­sion, against which he veri­fied both his own and stu­dents’ cre­at­ive work•Photo: Reed Magazine. The first ex­plo­sion happened twenty years ago. Every­body ran to make fonts with Fon­to­graph­er on the Mac and then that wave sub­sided a bit. Now, we’re on the peak of an­oth­er wave. Why is that? What is hap­pen­ing now? Well, I think that this hap­pens in people’s per­son­al ex­per­i­en­ce with many things. With food, for ex­ample, if you start ex­plor­ing things to eat, then in­ev­it­ably as you put your at­ten­tion on it you be­come more soph­ist­ic­ated about that, you make choices that are more re­fined, you eat things that taste bet­ter and so on. You ac­quire tastes, you may even won­der where your food comes from and you find out about that. This is a sim­il­ar situ­ation where, as people have be­come more in­ter­es­ted and ac­tu­ally done work to make things them­selves, they get hooked, and they want to know more about it, they want to know where the things come from, what the whole back­ground is. So I think a lot of this cur­rent in­terest is people hav­ing gone through an ini­tial stage of be­ing caught by this whole world of mak­ing let­ter­forms, in par­tic­u­lar mak­ing type, mak­ing fonts, and now we find a large group of people, most of whom are already de­sign­ers, the ones I get as stu­dents, who really want to know: Where does it come from? How do I make it? On the sur­face, we’ve taken let­ters for gran­ted for so long that we don’t really know – even people who are re­l­at­ive ex­perts in mak­ing type don’t ne­ces­sar­ily know a lot about the back­ground of it – where it came from, why it looks the way it does. Really, the only peri­od in our West­ern his­tory where let­ter­forms were kind of a fo­cus was in the me­di­ev­al peri­od, and that was all centred on Chris­tian­ity and mak­ing these in­cred­ibly elab­or­ate books. Now, when we look at those books and when people write about them, they’re com­pletely fo­cused on the im­ages. Read any book about il­lu­min­ated manuscripts and most of what you see is just pages of the il­lu­min­a­tions. But that’s be­gin­ning to change. I think people are real­ising that this is also an art form. This is something that is very soph­ist­ic­ated, is very deep, and there is a great deal of know­ledge that we could have about it if we put some re­sources in­to that. That’s really what we have, that’s what let­ters are made of – oth­er let­ters. There are cross-cul­tur­al in­flu­en­ces. For ex­ample, it ap­pears as though the serif prob­ably ori­gin­ated some­time in the late 4th cen­tury BC in Greek colon­ies near the Turk­ish coast, as an or­na­ment­al thing that was re­fer­ring to Per­si­an cul­ture. Al­ex­an­der was con­quer­ing Per­sia and he loved it, he wore their cos­tume after a while. In Stan­ley Mor­ris­on’s book Polit­ics and Script you see the first known in­scrip­tion with serifs on it – Greek let­ters – in 334 BC. That was on a temple ded­ic­ated by Al­ex­an­der. In or­der to un­der­stand what we’re look­ing at, we have to go back a long way. Let­ter­forms are in­cred­ibly re­si­li­ent, they last for long peri­ods of time and they keep get­ting re­vived. The Tra­jan let­ter, which is now this typeface that is every­where, has not been con­sist­ently a pop­u­lar thing throughout his­tory. It’s been no­ticed, but ac­tu­ally right now is its most ex­tens­ive use since the ori­gin­al let­ter at the end of the 1st cen­tury BC to the be­gin­ning of the 3rd cen­tury AD. So it’s in­ter­est­ing to re­flect on these things. Nvma Titling (2014) is Sum­ner Stone’s at­tempt to re­think Ro­man in­scrip­tions of the Early Re­pub­lic era (509–287 BC). Most of the cap­it­al let­ters in an­cient Rome were bor­rowed from the Etruscans, who in turn ad­op­ted the Greek al­pha­bet (the let­ter G came in­to be­ing later, in the 3rd cen­tury BC, while the let­ters J, U and W emerged in the Middle Ages). Early Ro­man writ­ing was lin­ear (in con­trast to the well-known mo­nu­ment­al let­ters of the Em­pire era). This type of writ­ing is dif­fer­ent from cunei­form and the Egyp­tian Hier­at­ic and De­mot­ic scripts in its forms: the let­ters, cre­ated with a sharp tool, had little con­trast between thick and thin strokes. Mod­ern sans-serif typefaces have pre­served many fea­tures of this let­ter­ing. Nvma does not re­cre­ate the his­tor­ic­al forms ex­actly (for ex­ample, the shape of the let­ter I was in­spired by the char­ac­ter Zeta from the Etruscan al­pha­bet), but this was nev­er part of the de­sign­er’s plans – Sum­ner Stone found it more im­port­ant to con­vey the ori­gin­al rhythm and his­tor­ic­al spir­it of an­cient Ro­man in­scrip­tions. As Stone says, when he first saw them in the City Mu­seum of Gub­bio, Um­bria in the early 90s, he was struck by their mod­ern ap­pear­ance, as if they were writ­ten in the 21st cen­tury, not the 2nd cen­tury BC. Nvma was cre­ated in par­al­lel with the Magma II fam­ily – its gen­er­al design, pro­por­tions and weight match those of Magma Thin. Here, Sum­ner Stone’s first sketches for Nvma, drawn in one night, are shown along­side di­git­al samples of signs and frag­ments with An­cient Greek in­scrip­tions on stone from the col­lec­tion of the Epi­graph­ic­al Mu­seum in Athens. The typeface was named in hon­our of the le­gendary second king of Rome, Numa Pom­pili­us, who was fam­ous for his peace­keep­ing mis­sions. I’d like to know how your ex­per­i­en­ce and back­ground in sci­en­ces af­fects your be­ing a de­sign­er – helps, or maybe hinders, your design ap­proach. Well, I did study math­em­at­ics. And I stud­ied so­cial sci­en­ce. The reas­on that I stud­ied So­ci­ology when I was an un­der­gradu­ate was be­cause my fath­er was a so­ci­olo­gist. And So­ci­ology is not a thing you learn about in school un­til you get to col­lege. Maybe you do these days, I don’t know. But when I went to high school, there was no So­ci­ology. The only reas­on I knew about So­ci­ology was through my fath­er. I think that really, I stud­ied it be­cause I wanted to un­der­stand him, more than I wanted to un­der­stand So­ci­ology, as it turned out (laughs). Was there any par­ent­al pres­sure to fol­low in the steps of your fath­er? I’m sure that there was that ele­ment there. I had it in my head that I would be a uni­versity pro­fess­or, do something like what my fath­er did. So that’s what I stud­ied as an un­der­gradu­ate. Maybe this is part of whatever my re­la­tion­ship to my fath­er was – some­how lib­er­a­tion from that tie in a cer­tain sense – and I think that the whole so­cial sci­en­ce ap­proach got put in place for me. I real­ised that it was an in­ter­est­ing part of our gen­er­al know­ledge, but not everything, by any means, and that these folks who did it were hung up on cer­tain things and seemed to be stuck in a lot of ways. I have more re­spect now for the dis­cip­line than I did when I fin­ished study­ing it as an un­der­gradu­ate. I was some­what dis­ap­poin­ted. I be­came more in­ter­es­ted in psy­cho­logy, ac­tu­ally, in my later years at Reed Col­lege. After I gradu­ated is when I star­ted to be­come in­ter­es­ted in cal­li­graphy. So I took this class from Reyn­olds, I star­ted tak­ing some classes. I stayed in Port­land – I ac­tu­ally was in San Fran­cisco briefly – and I took classes at the Mu­seum Art School, draw­ing and paint­ing, and threw pots and stuff like that. I did cal­li­graphy ob­sess­ively. I had this won­der­ful job which was a half-time job work­ing for the post of­fice. I some­times wish I still had that (laughs). That was a good ca­reer. (Laughs) It was per­fect, yeah. So, I got to do a lot of cal­li­graphy. This was the end of the six­ties,‘68, ‘69. I moved back to Port­land after that, and that’s when I star­ted tak­ing classes at the Mu­seum Art School in Port­land. And then I got a job work­ing for Hall­mark Cards. I saw, dur­ing the class that I took from Reyn­olds, he showed a film of Her­mann Za­pf work­ing, and this film had been made at Hall­mark. You can see it on­line. It’s quite won­der­ful. It starts out with him do­ing these flour­ished let­ters on a chalk­board. Just spec­tac­u­lar, I’d nev­er seen any­thing like that. The Art of Her­mann Za­pf — a short film about cal­li­graphy and writ­ing. Reyn­olds was a per­fectly good cal­li­graph­er, and I had a short brush with Ed­ward Catich then, too. Catich was the man who in­vest­ig­ated and learned how to make these im­per­i­al Ro­man let­ters. Reyn­olds got him to come to the cam­pus and carve the names of the build­ings in stone. I wit­nessed some of that, even though I didn’t really know what I was watch­ing at the time. So, yeah, I just be­came cap­tured by cal­li­graphy, by mak­ing let­ters, went to Hall­mark. At Hall­mark is where I be­came aware of typeface design as a thing. They had pur­chased very re­cently a pho­to­type­set­ting ma­chine, not quite at the be­gin­ning of the pho­to­type­set­ting era. They had this very clev­er fel­low who had figured out how it all worked. They had pho­to­graph­ic grids for the ma­chine, so they could type­set the Hall­mark pro­pri­et­ary al­pha­bets, a lot of which were scripts of course. In my era, the way things worked was that the in­side of the card, which was called the “sen­ti­ment”, was most of­ten set in type. The out­side of the card, which had some sort of “Happy Moth­er’s Day” or whatever, was called the cap­tion. The cap­tion was hand-lettered, so there was a small group of people who worked on con­vert­ing these hand-lettered styles that people had es­tab­lished. These were people who had been at Hall­mark a long time and had de­ve­loped their own style. On the type­set­ting ma­chine they made them in­to fonts and set them. One of the most aw­ful jobs was that once a week, if you couldn’t avoid it, you got what’s called “re­touch” for at least half a day. You sat there with a let­ter­ing brush – a little wa­ter­col­our brush, very small – and white paint, and you went through and dot­ted all the little specks from the dirt in the type­set­ting ma­chine. Then, if there were breaks in the let­ters or something, then you had to get out the black. Za­pf was very sym­path­et­ic with the let­ter­ing artists. He ac­ted like, and I think he was very sin­cere, that he felt like one of us. He knew the low status we had as let­ter­ing artists, and he was very sym­path­et­ic. He was very much in­ter­es­ted in teach­ing us tech­nique: short­cuts, things that he did in his work, and it was won­der­ful to get that time with him. Za­pf came from an en­vir­on­ment at Stem­pel where he had a lot of help. He had Au­gust Rosen­ber­ger, who was cut­ting punches for him and cut­ting punches for his let­ter designs. He also had people who were very, very skil­ful mak­ing the type. So if he had something that wasn’t quite work­ing at 12 point, then he had people who could tell him or fix it them­selves. This fel­low, Myron McVay was his name, was play­ing that role at Hall­mark and con­vert­ing his draw­ings in­to fonts. Not a trivi­al task, I’m sure. One of Her­mann Za­pf’s (1918–2015) works for Hall­mark – sketches of the typeface Hall­mark Tex­tura with com­ments•Source: Her­mann Za­pf at Hall­mark Cards by Steven Heller. How much time did you really get to spend with Za­pf? He would come for like a week, ten days, and he would hang out in the let­ter­ing de­part­ment all day. He would go around to each per­son and he wasn’t in a big hurry or any­thing. He would look at your work, he would make sug­ges­tions, he would draw stuff. When you’re with a mas­ter like that and you get to ex­per­i­en­ce them work­ing, you get something that I think you can’t really get in any oth­er way. That was al­ways my ex­per­i­en­ce in tak­ing work­shops and so on – the most im­port­ant thing to me was be­ing right there when they made the let­ters and watch­ing them do it. Once he was in a booth next to me, work­ing on a per­son­al sta­tion­ery design for the pres­id­ent of the com­pany, Don Hall, the son of one of the two broth­ers who foun­ded the com­pany. All it had was his name in Op­tima, in all caps, and Za­pf spent a whole morn­ing do­ing this. He would put the thing on the floor and get up on the chair to look at it. I was really im­pressed by the care that he gave to this ap­par­ently very simple task. The design pro­cess was very thought­ful and de­lib­er­ate. Not rushed. So that was an­oth­er les­son. Magma II is a lin­eal hu­man­ist typeface that can be looked at through sev­er­al dif­fer­ent lenses. On closer ex­am­in­a­tion of the char­ac­ters, one has the im­pres­sion that it is primar­ily a dis­play typeface for head­lines, but a sol­id text com­pos­i­tion shows that Magma II forms a flu­id and read­able tex­ture in small point sizes. Sum­ner Stone em­phas­ises that typefaces such as Robert Hunter Middleton’s Stel­lar, Syn­tax by Hans Eduard Mei­er and Her­mann Za­pf’s Op­tima served as sources of in­spir­a­tion for this pro­ject. There is noth­ing co­in­cid­ent­al about the open, strongly mod­u­lated char­ac­ter forms in the type fam­ily, which are based on the pro­por­tions of Renais­sance-era serifs. Ver­tic­al lines are drawn dy­nam­ic­ally with re­verse en­tas­is and their ends bend slightly in­wards (these de­tails come to the fore when work­ing in large point sizes). 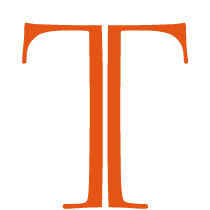 Some of the al­tern­at­ive char­ac­ters are note­worthy: the closed form of the lower­case a, the single-storey g and the l with a roun­ded “foot”. Com­pared with the first ver­sion, Magma II has been ex­pan­ded to five styles, from light to bold, and con­tains small caps and num­ber sets for all oc­ca­sions. These styles are equipped with four el­eg­ant it­al­ics of rather nar­row pro­por­tions that are very dy­nam­ic and make dir­ect ref­er­en­ce to broad-nib hand­writ­ing prac­tice: it is worth pay­ing at­ten­tion to the in­ter­sec­tions of the bowls and stems in the lower­case a, d, q, b and p, as well as the finely bal­anced char­ac­ters with di­ag­on­als and the Old-style fig­ures. How did you get from Hall­mark to Adobe? What happened in between? When I left Hall­mark, I moved to Sonoma, Cali­for­nia, north of San Fran­cisco in a rur­al set­ting, and opened a design busi­ness. I mostly did work for the wine in­dustry which was there. I taught cal­li­graphy both at San Fran­cisco State Uni­versity and also at the Uni­versity of Cali­for­nia Ex­ten­sion in San Fran­cisco. I did quite a lot of teach­ing and also taught work­shops. I was one of the founders of the Friends of Cal­li­graphy, which was one of the earli­est cal­li­graphy groups in the U.S. I really liked the teach­ing. I had a young child at that point, star­ted look­ing around, but my wife did not want to leave Cali­for­nia, which I sym­path­ised with. I thought maybe I should go back to school and I should study something that isn’t graph­ic design, but that I liked and that I could teach. One of the things I really liked as an un­der­gradu­ate was math­em­at­ics, so I de­cided I was go­ing to study it and teach it. I went back to gradu­ate school – Sonoma State, which was the closest place to me. I had won­der­ful teach­ers there. That’s when I learned how to pro­gram com­puters, just as a kind of fal­lout from study­ing math. I got my mas­ter’s de­gree, wrote my thes­is about a thing that was closely re­lated to non-Eu­c­lidi­an geo­metry. Then I taught for a while in the com­mu­nity col­lege that was close to me and also at Sonoma State: I taught busi­ness ma­jors how to do this op­tim­ising math. That was ex­tremely dis­cour­aging – at the com­mu­nity col­lege I was teach­ing them al­gebra and geo­metry, but all these people hated math and had to pass in or­der to get their de­gree. It’s kind of the worst pos­sible teach­ing situ­ation you can have. I would say the ab­so­lute op­pos­ite of that is what I had in teach­ing type design at Cooper, where I’m get­ting stu­dents who are pro­fes­sion­al people, who are really in­ter­es­ted and really want to know the sub­ject. I en­rolled in a PhD pro­gramme for a year at UC Dav­is, which was also close to me, and I real­ised that there were no per­man­ent jobs. So I star­ted look­ing around at what kind of jobs there were. I knew that type­set­ting was be­com­ing com­pu­ter­ised. This is already in the late 70s, by the time I’m really get­ting in­to it. There was one com­pany in Cali­for­nia that did di­git­al type­set­ting and that was a com­pany called Auto­lo­gic. They were really the first suc­cess­ful man­u­fac­turer of di­git­al type­set­ting ma­chines, which were very fast, very ex­pens­ive and de­pen­ded on a very high res­ol­u­tion cath­ode ray tube (the type was stored as bit­maps at 720 dpi). They were very suc­cess­ful and sold these ma­chines to al­most every daily news­pa­per in the U.S., then in Europe and to every­body else who needed to print things fast, such as cheque print­ers. Then they wanted to make a com­mer­cial type­set­ting ma­chine to com­pete with Com­pu­graph­ic and Lino­type. They real­ised, after they had the ma­chine all de­signed and everything, that they needed type (laughs). Be­cause the type they had made for the news­pa­pers wasn’t go­ing to cut it. Auto­lo­gic hired me to be in charge of the de­part­ment where they were mak­ing the type for the news­pa­pers. The way they made the type was that every new, big news­pa­per or news­pa­per chain would pho­to­graph the type that was in the pa­per, scan it, and di­git­ise it. I won’t even de­scribe to you how silly that was. Any­way, I took the job, I moved my fam­ily down there and pro­ceeded to make type. The com­pany pur­chased an Ikarus sys­tem, which was this soft­ware de­signed by of a Ger­man nuc­le­ar phys­i­cist Peter Ka­row, who pi­on­eered the idea that in­stead of bit­maps you could use out­line rep­res­ent­a­tions – spline rep­res­ent­a­tions, which we now call vec­tor rep­res­ent­a­tions – of the char­ac­ter and then you could bit­maps from that for a par­tic­u­lar ma­chine. That was very early di­git­al type­set­ting. Pho­to­type­set­ting (1930–1970s) was a bridge between the era of hot-met­al com­pos­i­tion and di­git­al tech­no­logy. The im­ages of let­ters that served as a basis for the pro­duc­tion of matrices were cut onto mask­ing film. This film (Ruby­lith) was a col­oured, trans­par­ent two-lay­er ma­ter­i­al, the up­per lay­er of which could be scored with a knife. When the out­line is com­plete, un­ne­ces­sary sec­tions of the col­our lay­er are re­moved (cut and peeled away). The pos­it­ive or neg­at­ive im­age of the ori­gin­al on the back­ing is then left as the fi­nal rep­res­ent­a­tion of a char­ac­ter•Photo: Misha Be­let­sky. Cath­ode ray tech­no­logy (CRT, 1960s) rep­res­ents a let­ter in the form of points (pixels). In his book Font Tech­no­logy, Peter Ka­row de­scribes the pro­cess of dis­play­ing a char­ac­ter on screen as fol­lows: “To pre­pare typefaces for CRT sys­tems, it was ne­ces­sary to di­git­ize ana­log art­work with a scan­ner. A graph­ics screen (dis­play ter­min­al) was used for re­pro­du­cing the bit­map in­form­a­tion of the scanned char­ac­ter. Op­tim­iz­a­tion of char­ac­ter shapes, de­let­ing or adding single pixels, was per­formed with bit­map edit­ing pro­grams”. A pen­cil out­line of a lower­case g pre­pared for di­git­isa­tion and con­ver­sion in­to the Ikarus format (mid-1970s). The IK-format in­volves the ab­strac­tion of the out­line – the let­ter is made up only of co­or­din­ates that define the start, corner, tan­gent or curve points. Its ad­vant­age is that this in­form­a­tion can be provided us­ing any meth­od: Bez­i­er curves, g-con­ics, quad­rat­ic splines, spir­als or arc seg­ments ob­tained through in­ter­pol­a­tion. Peter Ka­row calls his meth­od “ex­tra ab­strac­tion”•Photo: Dutch Type Lib­rary Flickr. In the early 80s, John War­nock and Chuck Gesch­ke at Adobe Sys­tems de­ve­loped the Post­Script page de­scrip­tion lan­guage for work with vec­tor graph­ics. The lan­guage made it pos­sible to open and print files on dif­fer­ent devices re­gard­less of their plat­form (if an in­ter­pret­er was in­stalled on it). Many man­u­fac­tur­ers of pho­to­type­set­ting equip­ment began to sup­port the Post­Script in­ter­pret­er, and over time the lan­guage be­came a stand­ard in the pre-press field. In ad­di­tion, Adobe de­ve­loped a spe­cif­ic­a­tion for the sup­port of fonts in this format. At this point, were you design­ing fonts? I was. I de­signed a typeface which was prob­ably com­pletely in­ap­pro­pri­ate for that place and nev­er got pro­duced there. It was a kind of Un­cial-based typeface, not ex­actly like Ham­mer Un­cial, but some­what in that world. So I was draw­ing and I was still giv­ing cal­li­graphy work­shops. But then I went to work for what was es­sen­tially a start-up com­pany in Bo­ston. They were mak­ing the ma­chines that Bit­stream used ini­tially to di­git­ise the type. They had writ­ten the soft­ware and used the same hard­ware that Camex used. Camex had a product that was a vec­tor ma­chine that was used for lay­ing out dis­play ads in news­pa­pers, and they had a whole little busi­ness go­ing for just that. The big mis­take was that they wanted to design their own hard­ware. In the middle of that year I was walk­ing to work and passed a store win­dow and there’s this little box with a screen – it was the first Mac. I went in and the guy gives me a little de­mon­stra­tion on the Mac and a light­bulb went on: these guys are not go­ing to make it. They should not try to make their own hard­ware – that’s their mis­take. I got to know the people at Bit­stream, in­clud­ing Mat­thew Carter and Mike Park­er, pretty well dur­ing that year. Mike even tried to hire me. At about the time I de­cided I was go­ing to leave, I got a call from John War­nock, one of the two founders of Adobe. He de­scribes to me that they need some­body to be in charge of their type-mak­ing pro­gram and asked if I’d like to come for an in­ter­view. I said “Yes, of course!”. The Adobe design team, from left to right: Jim Wasco, Robert Slimbach, Car­ol Twombly and Fred Brady•Source: Stan­ford Uni­versity. Did they have Post­Script at that point? Post­Script was the thing that they were selling. Their busi­ness plan at that point was to design an in­ter­pret­er for the Post­Script lan­guage for people who were man­u­fac­tur­ing and/or dis­trib­ut­ing print­ers, laser print­ers in par­tic­u­lar. So if you had a Post­Script pro­gram, you send it to this board that was go­ing to be built in­to their print­er, it would then make a ras­ter­ized page for you with text and im­ages. That was a very ap­peal­ing thing for a lot of people and it cap­tured the ima­gin­a­tion of Steve Jobs, who made the deal to put this in the first Laser­Writer print­er. It’s in­ter­est­ing be­cause they were so fo­cused on the screen at Apple that the print­ing part really got left as kind of a poor cous­in in the whole op­er­a­tion. It wasn’t un­til the Mac be­came suc­cess­ful that they real­ised that they really needed a high-end print­er of some kind, be­cause if you bought the Mac and then bought this really funky dot-mat­rix print­er… (laughs). You could do New York and all of those typefaces that they had, but it was still a dot-mat­rix print­er. So Jobs got it im­me­di­ately, he and War­nock hit it off, and that was the first big con­tract, which was a lot of money. That was right as I ar­rived there. They had made the deal with Apple be­fore I ar­rived and when I got there, it was like “Okay, we’re go­ing for it”. They had already put to­geth­er the soft­ware for the very first ver­sion of the Laser­Writer, but they were work­ing on the next round. They had no fonts oth­er than Times, Hel­vet­ica, Cour­i­er and Sym­bol, and they were pretty bad! What I told them when I went there was that I’d been in­volved in two com­pan­ies where, ba­sic­ally, what people are do­ing is they’re just grind­ing up the old stuff and spit­ting it out in a new form. I was ready to do that if that’s what they needed, which they did, but I wanted to have re­sources to do new things as well. New things might turn out to be not com­pletely ori­gin­al, but new ver­sions of old things, cer­tainly. My in­ten­tion at that stage was to do ori­gin­al type designs, and I made that very clear to them. Un­like any­body else in the type­set­ting busi­ness that I had known up to that time, these guys were com­puter sci­ent­ists. They had come from a re­search en­vir­on­ment, they thought in­nov­a­tion was what everything was all about. They thought the fact I wanted to do this was great! When I star­ted out, I bought an oak draw­ing table and de­lib­er­ately had it put in my of­fice, to em­phas­ise the fact that this was not go­ing to all be done on a screen. That was taken note of, ac­tu­ally. I re­mem­ber the guy who was the main hard­ware en­gin­eer com­ing in and say­ing “Hmm, tools of the trade!”. That was the be­gin­ning, and they were true to their word. They were very sup­port­ive of the whole ef­fort. I think they did not really un­der­stand what they were in for: we got a lot of pub­li­city, magazines and trade magazines pub­lished stuff about us. The last few years, go­ing round and talk­ing to vari­ous design de­part­ments around the coun­try, I meet these people who were young de­sign­ers at the time when all this was hap­pen­ing. They said “When you came out with the Gara­mond, that’s when we knew”. They knew that we were ser­i­ous – Adobe Gara­mond was a very big deal. It was bet­ter than any­body’s Gara­mond that was around at the time. Then it was quite a ride at Adobe. It grew very quickly, the type was ex­tremely suc­cess­ful. Part of that was be­cause we were the only game in town for a couple of years. The main dif­fer­en­ce between Adobe Gara­mond, re­leased in 1989, and its com­pet­it­ors with the same his­tor­ic­al name is the di­li­gent con­sid­er­a­tion of its forms, as close as pos­sible to the ori­gin­al typeface designs of Claude Gara­mond and Robert Gran­jon. Sum­ner Stone, then head of the Adobe Type De­part­ment, al­ways re­minded his col­leagues that “with his­tor­ic­al re­viv­als, you should go look at as much of the ori­gin­al ma­ter­i­al as you can and the place they were done to try to ab­sorb as much as pos­sible of the spir­it of the let­ters”. Robert Slimbach was first giv­en im­petus to work on the typeface by a spe­ci­men of sev­er­al styles com­pleted by Gara­mond (Egen­olff-Bern­er spe­ci­men, 1592). The typeface Vraye paran­gonne was chosen as an ar­che­type for the Ro­man face, but there were still not enough ma­ter­i­als, so Slimbach, Brady and his­tor­i­an John Lane went to the Plantin-More­tus Mu­seum in Bel­gi­um, which to this day re­tains a huge col­lec­tion of punches made by Gran­jon and Gara­mond. As a mod­el for the It­al­ic, Slimbach chose Gran­jon’s Saint Au­gustine, which was slightly smal­ler than Gara­mond’s Vraye paran­gonne. In ad­di­tion, the mu­seum’s col­lec­tion in­spired Slimbach to cre­ate ad­di­tion­al al­tern­at­ive char­ac­ters with swashes, or­na­ments, lig­at­ures, small caps and Old-style fig­ures. The mod­ern ver­sion of Adobe Gara­mond Pro is shown here in its Reg­u­lar and It­al­ic faces. How did you go about de­cid­ing what to do next after these Adobe Ori­gin­als, which is what everything star­ted from. Was there any sort of pro­gramme? That’s a good ques­tion. As I said, the ori­gin­al busi­ness, when I joined the com­pany, was what’s known as an OEM busi­ness – ori­gin­al equip­ment man­u­fac­turer. Which meant that Adobe was li­cens­ing soft­ware and the design of hard­ware to com­pan­ies that man­u­fac­tured equip­ment, in this case laser print­ers or laser im­age­set­ters. There was no re­tail busi­ness, there was no Il­lus­trat­or, there was no Pho­toshop, there was noth­ing like that. Il­lus­trat­or was the first product, based on the soft­ware that we had writ­ten to edit the fonts, be­cause you needed to be able to ma­nip­u­late these Bézi­er splines – that was the whole deal, really. That was made in­to a more gen­er­al-pur­pose product for draw­ing with splines called Il­lus­trat­or, which was Adobe’s first re­tail product. I had already de­signed my first typeface there, which was the Stone typeface, now ITC Stone. The reas­on it be­came ITC Stone was be­cause there was no re­tail busi­ness. Once it was de­cided that Il­lus­trat­or was go­ing to be a re­tail product, there was then the op­por­tun­ity to sell re­tail fonts, which made sense, be­cause we were mak­ing new fonts. My ori­gin­al Stone typefaces were done be­fore that de­cision was made, and John War­nock pro­posed li­cens­ing it to ITC, which we did. Once the de­cision about the re­tail busi­ness was made, I could come for­ward and say that we were go­ing to make Adobe Ori­gin­als typefaces and sell them at re­tail, and that was fine, be­cause they had Il­lus­trat­or and that was a re­tail product too. We got a name, we got an iden­tity, we made a logo. The pro­cess of what we made turned out to be not so trivi­al: I de­cided to as­semble a board of people in the in­dustry who would come be ad­visers and con­sult­ants. We met twice a year – those people were very sig­ni­fic­ant in the whole at­mo­sphere and guid­ance of the pro­gramme. There were some un­sung her­oes, but we also had guests to the board every time, so it wasn’t just this group of 5 or 6 people. There was Alv­in Eis­en­man, who was the head of the Yale design de­part­ment at that time. Steph­en Har­vard was the design dir­ect­or at the Stine­hour Press. Lance Hidy, a multi-tal­en­ted artist/ty­po­graph­er/type de­sign­er – as it turned out, I en­cour­aged him to design a typeface, and he did a very in­ter­est­ing one, called Pen­um­bra. Jack Stauffach­er, a won­der­ful print­er in San Fran­cisco, and Ro­ger Black, who be­came very well known as an art dir­ect­or and de­sign­er and en­tre­pren­eur. He star­ted a font shop, is a news­pa­per and magazine de­sign­er, and is still go­ing strong. That was the ori­gin­al group. About mid-way through we ad­ded a Swiss man, Max Caflisch, who was an edu­cat­or, writer, type de­sign­er – a very in­flu­en­tial fig­ure in European ty­po­graphy. We had a lot of guests: Ger­ard Un­ger, Erik Spieker­mann, Louise Fili, a lot of dif­fer­ent people came and par­ti­cip­ated in one of these meet­ings. The Adobe Type Ad­vis­ory Board, 1988. On the tree: Steph­en Har­vard, Ro­ger Black, Lance Hidy. Stand­ing, left to right: Alv­in Eis­en­man, Sum­ner Stone and Jack Stauffach­er•Photo cour­tesy of Sum­ner Stone. The agenda was that we would look at the work that had been go­ing on for the last six months and then dis­cuss what to do next. After the board got the first look at the Tra­jan typeface, the idea came up to do more pre-ty­po­graph­ic typefaces. Car­ol Twombly went off en­tirely on her own and did Lithos and Char­le­magne, which turned out ul­ti­mately not to be nearly so pop­u­lar as Tra­jan. Lithos, ac­tu­ally, was a big hit right out of the gate – it be­came really pop­u­lar for a short peri­od of time, then it kind of faded. I think part of that was Mat­thew Carter’s Greek-esque typeface that he did for Mi­crosoft, which really put Lithos out of busi­ness. A gradu­ate of the Rhode Is­land School of Design (RISD), Car­ol Twombly joined the Adobe team in 1988 on the re­com­mend­a­tions of Chuck Bi­gelow and Chris Holmes. Her first pro­ject in Sum­ner Stone’s team was the typeface Tra­jan (in col­lab­or­a­tion with Robert Slimbach, 1989), which is now dis­trib­uted un­der the name Tra­jan Pro 3. Ac­cord­ing to Car­ol, Sum­ner gave her a full-size copy of the in­scrip­tions from Tra­jan’s Column, which they hung in the cor­ridor. To draw the char­ac­ters, Car­ol used Adobe Il­lus­trat­or, which is “not set up at all as a font design pro­gram”. However, Robert and Car­ol al­ways star­ted with hand draw­ings, only later in­volving the com­puter. “The forms had to be mod­i­fied and per­fec­ted in or­der to work as a di­git­al font, while re­main­ing true to the spir­it of the his­tor­ic­al source,” Car­ol re­calls. In­deed, this was Sum­ner Stone’s doc­trine, which was later ap­plied to oth­er Adobe Ori­gin­als pro­jects. The Cyril­lic was cre­ated by Robert Slimbach and Car­ol Twombly in 2011 (con­sult­ant – Max­im Zhukov). I re­mem­ber, back in the mid-90s, everything that Adobe put out be­came an im­me­di­ate hit, as far as fonts went. There was a little cata­logue, like a peri­od­ic­al – Adobe Magazine or something like that – which had the new fonts lis­ted, and every­one ran to that to see what the next big thing was go­ing to be. That’s right, the magazine was called Font and Func­tion­it and was a very suc­cess­ful busi­ness, the whole pro­gramme was very suc­cess­ful and we got a lot of press. The com­pany grew very, very rap­idly, and I wound up spend­ing all my day in meet­ings, the last year I was there. I didn’t get to par­ti­cip­ate in the design pro­cess of these new things that people were work­ing on. We had already done the Caslon, the Gara­mond, the Tra­jan, the Lithos and stuff. I real­ised that the guys who were the founders of the com­pany, and many of the people in the com­pany – all the tech­nic­al guys, all the soft­ware guys – were fas­cin­ated by the com­puter. The thing that fas­cin­ated me was the let­ters, the fonts. I left and don’t ever re­gret that. I think it was a wise de­cision. I star­ted my own foundry, which I still have to this day. It con­sis­ted of mostly just me the whole time, do­ing everything. When design­ing Adobe Caslon, Car­ol Twombly drew on text typeface spe­ci­mens pro­duced by Wil­li­am Caslon between 1734 and 1770. The di­git­al ver­sion of the type fam­ily pre­served their main fea­tures: fairly wide pro­por­tions, con­trast, weight and a vari­ety of de­tails. We can ob­serve the de­sign­ers’ de­sire to bring Caslon’s char­ac­ters in­to a more ri­gid sys­tem: the cap­it­al S is nar­row­er than the ori­gin­al, the lower serif of the C is cut off and the in­dent­a­tion at the top of the let­ter A is quite strongly pro­nounced. The ex­tenders of lower­case char­ac­ters are rather long, but the char­ac­ters them­selves are much smal­ler than the up­per­case. The It­al­ics in Adobe Caslon Pro are not as nar­row and slop­ing as Caslon’s ori­gin­als, but pre­serve all the spe­cif­ic de­tails: the bright flour­ishes on some lower­case let­ters, the dis­tinct­ive p with a curved stroke that crosses the stem at the top, a lot of teardrop ter­min­als in the lower­case and the ir­reg­u­lar, steep slope of some up­per­case let­ters (A, V, W). Today, the Open­Type ver­sion of Adobe Caslon con­tains five styles plus small caps, Old-style fig­ures, lig­at­ures, frac­tions, or­na­ments and finely craf­ted al­tern­at­ive It­al­ic cap­it­als with swashes. While you were at Adobe, did you have any­thing to do with non-Lat­ins? It was just get­ting star­ted as I ex­ited. I had a lot to do with the Ja­pan­ese. War­nock came in­to my of­fice one day and said “Well, would you like to go to Ja­pan”. What had happened was that Adobe really wanted to have Ja­pan­ese typefaces that they could then li­cense to laser print­er man­u­fac­tur­ers or who­ever, many of whom were Ja­pan­ese. But they wanted their own faces, di­git­ised in Post­Script. Luck­ily, I knew Ja­pan­ese people in the type world through ATypI. I went around the type­set­ting man­u­fac­tur­ers there and talked to them. Adobe wound up do­ing busi­ness with Mor­isawa, so in ‘87, ‘88 and ‘89 I was in Ja­pan quite a lot, do­ing that deal and be­com­ing com­pletely cap­tured by Ja­pan­ese gar­dens (laughs). I was already cap­tured by a lot of Ja­pan­ese cul­ture, par­tic­u­larly the writ­ing and the po­etry. Tra­di­tion­al Ja­pan­ese cul­ture is very at­tract­ive. Chinese is as well, al­though I didn’t really real­ise un­til I went to Ja­pan that edu­cated, soph­ist­ic­ated, in­tel­lec­tu­al Ja­pan­ese people – the aes­thet­ic lead­ers – re­gard them­selves as be­ing kind of in the shad­ow of China in all the tra­di­tion­al arts. Did you have any­thing to do with the Greeks or Cyril­lics? No, al­though I did have some in­volve­ment in the Cyril­lics right after I left Adobe, be­cause ITC was mak­ing Cyril­lic typefaces with this Rus­si­an com­pany, Para­type, and they were do­ing the ITC Stone faces in Cyril­lic, so I wound up in the role of a con­sult­ant to ad­vise them on the ex­pan­sion of my own faces in­to Cyril­lic. That was a very in­ter­est­ing pro­cess, be­cause I really knew noth­ing about the his­tory of Cyril­lic type, about its cur­rent uses. I knew a little bit, I had cer­tain her­oes: there are some cal­li­graph­ers from that world that I had ad­mired. But I really knew very little about it, so they would do things that I thought were ques­tion­able and we would have dis­cus­sions about them. Ul­ti­mately, I came to un­der­stand that there was this tra­di­tion of how the forms were treated, which prompts a whole line of think­ing about what you’re do­ing when you take a typeface that’s been de­signed for Lat­in char­ac­ters and turn it in­to either a Greek or a Cyril­lic. What really is go­ing on there? There are a lot of puzzles, I think. There are lots of ques­tions as to wheth­er that is really such a great idea or not. A lot of it is really about polit­ics, power and cul­ture. Like all of Stone’s pro­jects, the de­vel­op­ment of the Stone type fam­ily star­ted with pen­cil draw­ings. It should be kept in mind that by the end of the 80s Adobe already had the tools to work with Bez­i­er curves on a com­puter, al­though there was no com­pre­hens­ive pack­age for de­vel­op­ing a font from the first sketches to the fi­nal design. A di­git­ised pen­cil draw­ing on tra­cing pa­per was di­vided in­to many small frag­ments that were con­ver­ted in­to vec­tors. At Stone’s re­quest, Bill Pax­ton at Adobe wrote a small script that trans­formed the vec­tors in­to Bez­i­er curves – this was the start­ing point of the work. It was pos­sible to edit the let­ters, change the con­tour, fill it and print on a laser print­er. This work was car­ried out in March 1985. Sum­ner Stone com­pares the pro­cess of work­ing with di­git­al con­tours on a com­puter screen with work on a sculp­ture, not just with draw­ing: ma­ter­i­al from one char­ac­ter can serve as a basis for an­oth­er. The Cyril­lic ver­sion of the Stone Serif fam­ily was com­pleted by Vladi­mir Ye­fimov in 2012. The coun­ter­part Stone Sans type fam­ily is dis­tin­guished by its low con­trast. The x-height is rather large, while char­ac­ter pro­por­tions are slightly nar­rowed. Di­ag­on­als are cut off at a right angle to the stroke ax­is. Work on the Cyril­lic ver­sion was star­ted by Vladi­mir Ye­fimov at Para­Graph in 1994 and Max­im Zhukov ad­vised on the pro­ject. Today, this won­der­ful hu­man­ist­ic sans-serif con­tains six styles with Cyril­lic, while the Me­di­um and Semibold have small caps. All styles are equipped with Old-style fig­ures, frac­tions, sub­script and su­per­script char­ac­ters, and a num­ber of Lat­in lig­at­ures. Are you us­ing some­body to help you? Do you feel con­fid­ent that you’re not go­ing to make some ter­rible mis­takes in the shapes of the let­ters? I’m just do­ing it by my­self. I have a very bad tend­en­cy to do that (laughs). I’ll have people look at it when it gets to a stage where I think that I can get ad­vice about it. I’m not at that stage yet, but there are people who have spent time think­ing about these things and will ad­vise me. This is a real is­sue, not only for me, but for every­body who’s in­volved in this pro­cess. If you’re go­ing to make a Cyril­lic ver­sion of Times, Hel­vet­ica, or the brand-new typeface that you in­ven­ted, then how do you go about that? If you do things that you think are graph­ic­ally cor­rect, but which are con­tra­dict­ory to the paths that have been fol­lowed in the past, then what are the con­se­quences of that? An ex­ample is Her­mann Za­pf, who de­signed an Ar­ab­ic typeface. I look at it and think that it’s an ab­so­lutely beau­ti­ful typeface. Ap­par­ently, in the Ar­ab world it gets used al­most ex­clus­ively for chil­dren’s books! It looks like it be­longs in a chil­dren’s book, evid­ently. One of the stu­dents in the first con­densed class at Cooper that I taught three years ago is a fel­low named Tarek At­ris­si, who has be­come quite suc­cess­ful as a graph­ic de­sign­er in the Ar­ab­ic world. He tells me that if you do a typeface in Egypt, people will have cer­tain re­ac­tions to it. If you take the same typeface over to Syr­ia or Le­ban­on, they’re go­ing to have dif­fer­ent emo­tion­al and cul­tur­al re­ac­tions to those forms. Well, this makes things rather tricky, doesn’t it? There’s also this on­go­ing con­ver­sa­tion about how you have to be a nat­ive speak­er of a lan­guage to really know all the in­tric­a­cies of char­ac­ter design. Or do you? It’s not even so much a nat­ive speak­er, it’s a nat­ive user of ty­po­graphy, writ­ing, cal­li­graphy. That is what’s re­quired. Some­body who is aware of the tra­di­tion of the forms. If you don’t have that, you’re go­ing to make mis­takes. Sum­ner Stone in his stu­dio after leav­ing Adobe•Photo cour­tesy of the de­sign­er. Have you seen the Cyril­lic ver­sion of the ITC Bodoni 72? Para­type nev­er got around to work­ing on the text weights, so they only did the dis­play 72-point. What’s in­ter­est­ing is that, when Para­type di­git­ised it, they went back to the peri­od of Bodoni-like fonts in Rus­sia and bor­rowed some of those forms. It’s like what Bodoni would have done, had he known the bet­ter ver­sions of the Rus­si­an let­ters – he did his own Cyril­lic, but un­for­tu­nately didn’t have good mod­els for his let­ters, so the Cyril­lic was flawed. I’m not sur­prised! I think I ac­tu­ally have seen it, but I have not spent much time look­ing at it, put it that way. What do you think of it? Is it suc­cess­ful? Ac­tu­ally, we’d like to ask what you think of it. Here are some of the char­ac­ters that are based on forms that some type de­sign­ers in Mo­scow now per­ceive as ar­cha­ic or an­ti­quated. I think that the ITC Bodoni is ar­cha­ic and an­ti­quated. I think it was de­lib­er­ately in­ten­ded to be that way. In Au­gust 1991, three years be­fore the re­lease of ITC Bodoni, a team made up of Holly Gold­smith and Janice Prescott Fish­man from Xer­ox, Alan Haley and Ilene Strizver from ITC and Sum­ner Stone left the United States to vis­it the Bodoni Mu­seum in Parma. Sum­ner planned to study punches and prints in or­der to cre­ate three mas­ter sizes: ITC Bodoni 72 (in four styles) for dis­play work and large point-sizes, ITC Bodoni 12 (in four styles) for stand­ard text com­pos­i­tion and ITC Bodoni 6 (in four styles) for small point sizes. Later, ITC Bodoni Or­na­ments was re­leased, and in early 1996, ITC Bodoni 72 was com­ple­men­ted by an It­al­ic Swash dis­play face. In the art­icle ITC Bodoni: Notes from Parma (U&lc Volume 22, Num­ber 2, fall 1994), Stone wrote, “Se­lect­ing a pro­to­type for the dis­play ver­sion was simple: we im­me­di­ately real­ized that it should be Pap­ale, Bodoni’s largest typeface (by or­der of the Pope). It was harder to choose a mod­el for small sizes – we com­pared the spe­ci­mens from Manuale Tipo­grafico, prin­ted on vel­lum, with the met­al let­ters. In the end, we settled on the typeface Filo­sofia Bas­sano as a ref­er­en­ce for the text fam­ily”. After re­turn­ing to the USA, Holly Gold­smith con­cen­trated on de­vel­op­ing the faces for small point sizes. Her main design task was to pre­serve the im­age and plas­ti­city of the ori­gin­al let­ters carved in­to a met­al bar without tak­ing in­to ac­count the de­fects that in­ev­it­ably arise when strongly mag­ni­fy­ing a prin­ted sample. Janice Prescott began work on the large-size ver­sion of the typeface, based on Pap­ale. Her task was some­what dif­fer­ent: Sum­ner Stone wanted to con­vey the el­eg­ance of the mas­ter’s en­graved type. Moreover, in all the faces the de­sign­ers wanted to move away from the over-sim­pli­fic­a­tion and geo­met­risa­tion of con­tours that was seen in pre­vi­ous ver­sions of typefaces based on Bodoni’s punches. Here and else­where, faces of the ITC Bodoni 72 fam­ily, based on the Pap­ale typeface, are shown. Do you think that if I were to use this font on a mod­ern or con­tem­por­ary pro­ject, that would make it look old-fash­ioned? It de­pends en­tirely on how it’s used and what the con­text is. It’s not ne­ces­sar­ily the case at all: you could use it on a candy wrap­per and it would look com­pletely con­tem­por­ary. You think that this is in-keep­ing with your ori­gin­al plan for ITC Bodoni? It sounds like it. Look­ing at the char­ac­ter of what has been done, I would say it does have some of the same spir­it as what we did. There’s this very de­lib­er­ate at­tempt to cap­ture something about Bodoni that was un­ques­tion­ably lost in the ATF Bodoni re­viv­al – the hand­made qual­ity of it, as op­posed to look­ing like a ma­chine part, which was the way it was drawn and viewed. It was much more like the Didot faces, es­pe­cially the later ones, which really did look like that. ITC Bodoni 72 is a spe­cial typeface for me. It was my fi­nal pro­ject at the Poly­graph­ic In­sti­tu­te (now the Mo­scow State Uni­versity of Print­ing Arts) and my first typeface drawn on tra­cing pa­per and the com­puter as a com­plete set of Cyril­lic char­ac­ters. But the pro­ject was also un­usu­al for the West­ern type com­mu­nity when it was com­pleted on 23 Au­gust 1994. There were sev­er­al dis­tinct­ive fea­tures. The first was that, un­like mod­ern ver­sions of Bodoni based on geo­met­ric­al shapes, a his­tor­ic­al typeface had been de­signed that more or less ac­cur­ately con­veyed the char­ac­ter draw­ings cre­ated 200 years ago by the mas­ter. The second fea­ture was the pres­en­ce of three mas­ter sizes. A set of or­na­ments, ITC Bodoni Or­na­ments, was also re­leased. The concept of the Cyril­lic char­ac­ter set was as fol­lows. We tried to ima­gine that Bodoni had un­der­stand the nature of the ori­gin and de­vel­op­ment of Rus­si­an mov­able type, in­stead of merely in­ter­pret­ing (by all ap­pear­ances) in his own way the char­ac­ter forms he had seen in the Academy of Sci­en­ces cata­logues. In light of this idea, I did a thor­ough ana­lys­is of Bodoni’s typefaces in Manuale Tipo­grafico (1818) and of 18th cen­tury Rus­si­an type cata­logues in the Rare Book De­part­ment of the Rus­si­an State Lib­rary. I had to agree with the con­jec­ture of a num­ber of au­thors, par­tic­u­larly Ab­ram Shits­gal, that the mas­ter’s main source was the 1748 type cata­logue of the Academy of Sci­en­ces print­ing house. A com­par­is­on of some up­per­case let­ters in Double Ter­tia size from Sample Book of All Al­pha­bets, Char­ac­ters and Print­ing Dec­or­a­tions Avail­able at the Im­per­i­al Print House of the Academy of Sci­en­ces (St. Peters­burg, 1748), the book of Gi­am­bat­tista Bodoni type spe­ci­mens Manuale tipo­grafico (Vol. II, Parma, 1818) and the di­git­al typeface ITC Bodoni 72 (Para­Type, 2000, Cyril­lic de­sign­er – Dmitry Kirsan­ov). They still had a little more re­fine­ment than the Benton ver­sion, where the ma­chine comes through very strongly. In­deed, ab­so­lutely. There are some beau­ti­ful Didot typefaces, no ques­tion about it, in spite of the rigour they were made with, and in some cases be­cause of it. I’m ac­tu­ally in the pro­cess of agree­ing to do a brief course about the mod­ern let­ter next semester, so this is be­com­ing in­ter­est­ing to me again. For the last couple of years I’ve also been priv­ileged to par­ti­cip­ate in help­ing to ad­vise Valer­ie Lester, the au­thor of a bio­graphy of Bodoni. It’s be­ing pub­lished by God­ine and that’s in pro­cess. It’s a fas­cin­at­ing book, par­tic­u­larly with the il­lus­tra­tions. It will give people an in­sight in­to the world that Bodoni lived in, in a way that has not been avail­able to Eng­lish speak­ers. The thing that made Bodoni fam­ous in his time is simply not present in the ATF Bodoni. It’s an el­eg­ance, a re­fine­ment, a sens­ib­il­ity that even his rivals, the Didots, could not help but ac­know­ledge. That’s what I was after in do­ing this pro­ject. To try and re­cap­ture that, which is not so easy. It seems like “Oh yeah, well, just copy it!”. What do you copy to start out with?! That’s right. There are so many vari­ous cuts and he had lots of dif­fer­ent al­tern­ates even in the same point size. That’s pretty much al­ways true in do­ing re­viv­als. You have the very ini­tial ques­tion of what to use as source ma­ter­i­al. Do you use punches or matrices? In the case of the Gara­mond, it turned out that there are still matrices around. You can cast Gara­mond’s ori­gin­al type, you can print with it and use that as a mod­el. That ques­tion in it­self, just that one thing, turns out to make a huge dif­fer­en­ce in what you wind up with at the end. There are many, many such de­cisions along the way that you have to cope with. The whole no­tion of mak­ing dif­fer­ent designs for dif­fer­ent sizes of the type is a thing that people really had a dif­fi­cult time deal­ing with. Even though there was a very brief peri­od of pho­to­type, de­sign­ers who grew up with it were used to hav­ing “one size fits all”. Those were the people who were around when the per­son­al com­puter be­comes the centre of ty­po­graphy, and Post­script and so on. The whole no­tion that you have dif­fer­ent designs for dif­fer­ent sizes was by then already kind of odd (laughs). Mat­thew Carter told me that, in the very early days, Lino­type ac­tu­ally made a num­ber of dif­fer­ent mas­ters. You could buy a 24-point Gara­mond No. 3, for ex­ample, and nobody bought them. They just bought the 12-point. It wasn’t a pri­or­ity. Cycles is an Old-style serif with high con­trast and rather nar­row char­ac­ter pro­por­tions, the forms of which are linked to Hu­man­ist­ic minus­cule. The basis of this fam­ily is an­oth­er Sum­ner Stone typeface called Stone Print, which he de­signed for the magazine of the same name. As he worked on it, Stone ex­per­i­men­ted a lot with char­ac­ter pro­por­tions, test­ing how nar­row a typeface can be without los­ing legib­il­ity. This was done to solve a cer­tain prob­lem (there was a lot of text in the magazine and at the same time he wanted it to be known as an en­vir­on­ment­ally friendly and eco­nom­ic­al pub­lic­a­tion), and many of these ex­per­i­ments, as well as the meas­ured con­tours of the let­ters, later made it in­to the de­sign­er’s new pro­ject Cycles. However, the main fea­ture of this type fam­ily is the vary­ing design of faces for dif­fer­ent point sizes (El­ev­en, Nine, Sev­en, Five). As the size de­creases, the con­trast lowers, weight and side bear­ings in­crease, stroke ter­min­als are sim­pli­fied and the height ra­tio of up­per­case to lower­case char­ac­ters changes. That was the norm for met­al type, but Stone was one of the first to re­turn to this prin­ciple in di­git­al ty­po­graphy. “In ty­po­graphy,” he writes in his in­tro­duc­tion to the samples of Cycles, “There is a fun­da­ment­al re­la­tion­ship between the phys­ic­al im­age of the text and the visu­al ap­par­at­us of the read­er. For 2,600 years of mak­ing and re-mak­ing, the breed­ing of the Ro­man let­ter has been un­der way. Tra­di­tion­al type sizes are the product of a lengthy ac­cu­mu­la­tion of hu­man at­ten­tion. Like a star crys­tal­lized out of the heav­ens, like a spe­cies of creature, each size of type is re­l­at­ively ab­so­lute. It rep­res­ents a re­duc­tion, a cook­ing down of the read­ing and writ­ing ex­per­i­en­ce of many gen­er­a­tions. Cycles’ faces hon­our this tra­di­tion, which has at its base an un­waver­ing de­vo­tion to the legib­il­ity of the text”. In his book First Prin­ciples of Ty­po­graphy, Stan­ley Mor­is­on wrote, “For a new font to be suc­cess­ful, it has to be so good that only very few re­cog­nize its nov­elty. A type which is to have any­thing like a present, let alone a fu­ture, will neither be very ‘dif­fer­ent’ nor very ‘jolly’.” Sum­ner Stone’s Cycles is ex­actly one of these typefaces. Its form is very simple and nat­ur­al, without any spe­cial fea­tures. The pro­por­tions are re­min­is­cent of an Old-style serif, but the char­ac­ter draw­ings are more soph­ist­ic­ated and their strokes have more con­trast than a ca­non­ic­al Renais­sance An­ti­qua. Stone’s un­mis­tak­able hand can be seen in this typeface, al­though it does not take centre stage. The Ro­man and It­al­ic of this un­as­sum­ing, nat­ur­al typeface are suited to books and magazines. When design­ing Stone Print, Stone used the Adobe Mul­tiple Mas­ter meth­od. Along­side the main ver­sion of the typeface, two wider and two nar­row­er ver­sions were also cre­ated for a total of 5, with let­ter width dif­fer­ing by 3% between each one. Of these, only the middle one was used in the magazine. Even then, Stone de­cided to re­work the widest face as book type. In this way, Stone Print, 6% wider than the ori­gin­al, be­came the basis for Cycles. Cycles has calm, open forms in both the Ro­man and It­al­ic faces. The elong­ated serifs, as in Stone Print, are mar­gin­ally con­cave. The axes of the lower­case c, d and e are angled, which re­minds us of the hand­writ­ten found­a­tion of the forms, like in many Old-style serifs. At the same time, the ax­is in­clin­a­tion of the let­ters b, p and q is less pro­nounced. In the It­al­ic, all the char­ac­ters are a little nar­row­er than in the Ro­man. In ac­cord­ance with this, the serifs are shortened too. The It­al­ic Q, as in the oth­er faces, has a long tail slightly off to the side of the lower base of the circle. The Ro­man face has small caps that are slightly lar­ger than the height of lower­case let­ters. Cap­it­al let­ters, along­side the lig­at­ures ff, fi, fl, ffi and ffl, can be found in the ex­ten­ded set. All faces are fur­nished with ex­cel­lently de­signed Old-style fig­ures. The three vari­ants of the num­ber 1 have been giv­en small hair­line strokes for clar­ity – their elong­ated serifs al­low the fig­ures to look more sol­id. Max Caflisch, Schriftana­lysen, Band I. Ty­po­thron St, Gal­len 2003. I want to talk a little about your teach­ing ex­per­i­en­ce. When you look at stu­dents work which qual­it­ies do you find the most im­port­ant? It de­pends on the stage, you want to em­phas­ise dif­fer­ent things at dif­fer­ent times. In the be­gin­ning I’m not so much con­cerned with the re­fine­ment of the forms al­though that’s one of the things that I do talk about and I do crit­ic. But I’m more in­ter­es­ted in them look­ing at the over­all pro­por­tions of the let­ters, play­ing with the weights and see­ing how those re­la­tion­ships come out, how that af­fects the struc­ture of the let­ters. I do have them go­ing back and forth par­tic­u­larly in the be­gin­ning between draw­ing with pen­cil and draw­ing on the com­puter to make let­ter­forms. Teach­ing type design is like teach­ing jug­gling, you have to keep a lot of things in the air at the same time and the only way to do that is to get star­ted and see what people are do­ing and then try to fo­cus on the things that seems not work­ing out. What would be an ideal length of a type design course? Well, I think if you’re go­ing to do it thor­oughly that it will take a couple of years. About two years for a gradu­ate course and you can get people up to a level where you can feel con­fid­en­ce that they can go out and con­tin­ue. Maybe even longer, it really de­pends on what your goals are. The ac­tu­al draw­ing of let­ters in a soph­ist­ic­ated way is dif­fi­cult and the un­der­stand­ing of the whole sys­tem and something about why we’re where we’re today, takes time and prac­tice. You need some­body who is a mas­ter to help you and you need time to ex­plore your­self, dif­fer­ent path­ways that are there. I think that Gill and Koch mod­els are good, they were in a work­shop where things were ac­tu­ally hap­pen­ing. I show the stu­dents what I’m work­ing on, get them to par­ti­cip­ate a little bit and at least see what a real pro­ject looks like, I’m show­ing them the things I’ve done and tell them my own prac­tice be­cause that’s what I know best. The two Type@Cooper pro­grammes of vary­ing lengths (an ex­ten­ded twelve-month one and in­tens­ive sum­mer courses) of­fer in­struc­tion in the ba­sics of let­ter­ing, cal­li­graphy, pro­gram­ming in Py­thon and oth­er must-have skills for a type de­sign­er. Writ­ing with a broad-nibbed pen is how Stone starts work with stu­dents. He is true to his prin­ciples: type is born through un­der­stand­ing its form on pa­per and draw­ing his­tor­ic­al designs with pen­cil and ink – only after sketch­ing do stu­dents switch to work­ing on the com­puter. At this stage, Stone pays great at­ten­tion to the skills of struc­tur­ing side bear­ings and kern­ing a typeface. In ad­di­tion to this, an im­port­ant part of the Type@Cooper course is the ex­am­in­a­tion of his­tor­ic­al type spe­ci­mens, as well as the study of art his­tory. An im­port­ant role here is played by the uni­versity’s part­ners: the New York Pub­lic Lib­rary, Mor­gan Lib­rary & Mu­seum, But­ler Lib­rary at Columbia Uni­versity and the Let­ter­form Archive in San Fran­cisco. Among Sum­ner Stone’s col­leagues are Andy Cly­mer, Chris­ti­an Schwartz, Ber­ton Hasebe and Just van Ros­sum, as well as oth­er de­sign­ers and his­tor­i­ans. To­geth­er, they form an im­port­ant part of graph­ic arts edu­ca­tion at Cooper Uni­on, the old­est col­lege in New York with its own tra­di­tions and unique his­tory. In Septem­ber 2009, the uni­versity opened new aca­dem­ic centre 41 Cooper Square, de­signed by ar­chi­tect Thom Mayne. In ad­di­tion to a num­ber of fac­ulties and labor­at­or­ies, this un­usu­al build­ing houses the Herb Lub­al­in Study Cen­ter, cur­ated by Al­ex­an­der Tochilovsky•Photo: Paul Eng, New York, 2014. So what can you ac­com­plish in a semester or a year? You can teach people something about the struc­ture of the let­ters, us­ing the design tools on the com­puter, a little bit about the soft­ware that sup­ports the whole thing (and now got­ten to be rather large) and send them off. Hope­fully they can find a place where they can work and learn more about it or con­tin­ue with the stud­ies. It’s not a short thing, it’s sev­er­al years worth of study­ing. Ideally we should have people who are ex­perts in all three areas — in the his­tory, in the prac­tice and in the the­ory then you have well-edu­cated people. Where would you ad­vise young people who are in­ter­es­ted in type design to go? If you happened to live in New York city, you can do the ex­ten­ded pro­gram at Type@Cooper Pro­gram if you’re from some­where else you can come and do the sum­mer course. Then the pro­gram of the Uni­versity of Read­ing which is the old­est one and the pro­gram of the Roy­al Academy of Hag­ue, both pro­grams have their strengths and weak­nesses. If you’re in­ter­es­ted in the tech­nic­al part and all the soft­ware I would go to Hag­ue and study Type & Me­dia course, we’re very for­tu­nate to have some gradu­ates of that pro­gram teach­ing here in New York. And if you’re more in­ter­es­ted in aca­dem­ic part, in his­tory, re­search, the­or­et­ic­al as­pect than there’s something to be said about go­ing to Read­ing. At Read­ing they have a dif­fer­ent ap­proach to the high­er edu­ca­tion where you’re do­ing your thing and just have peri­od­ic re­views with your tu­tor. I’ve been there one time, I’ve cri­ti­cised every­body’s work, gave a lec­ture, there was a very in­tense work­ing at­mo­sphere. If you look at the gradu­ates of the pro­gram they’ve done a very fine work, a few people now have turned in­to a top-notch de­sign­ers and the same with re­search, there’re people who are ser­i­ous schol­ars now.